Achieving the Lawson Centre's mission of improving the health of children of all ages in Canada and around the world would not be possible without the generosity and dedication of its supporters. The Joannah & Brian Lawson Centre for Child Nutrition (Lawson Centre) would not be what it is today without Joannah and Brian Lawson's vision and commitment to advancing the health and well-being of children. Their generous inaugural donation of $5 million helped to establish the Lawson Centre and support several of its key initiatives and programs. Their most recent gift, which brings their total contribution to $10 million, is further accelerating the Centre's impact. 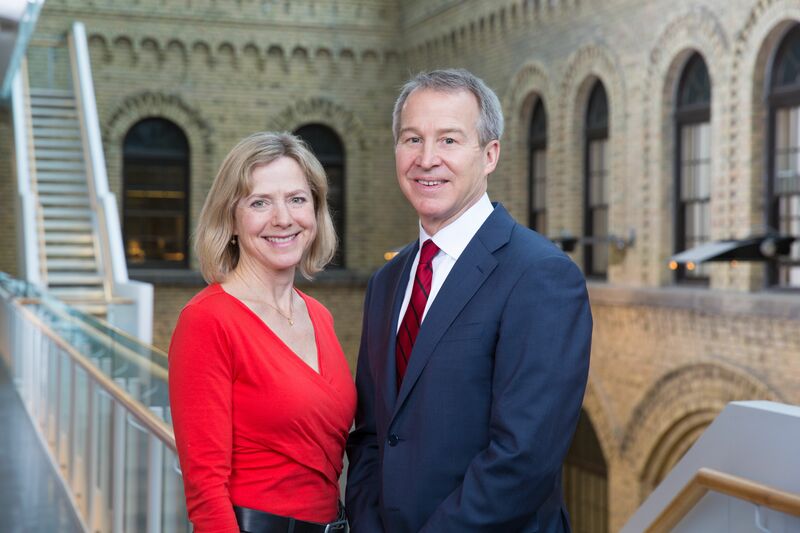 As University of Toronto alumni, Joannah and Brian realized the potential of a network of Toronto's researchers, doctors, policymakers, and advocates to enhance child nutrition and health worldwide. "As a registered nutritionist working with clients, I see first-hand how life-changing good nutrition can be to physical and mental health. We urgently need to support initiatives that work to ensure that everyone has access to healthy, sustainable food." Brian Lawson is a member of U of T’s Governing Council. He is senior managing partner and chief financial officer at Brookfield Asset Management Inc. In 2013, he was named Canada’s CFO of the Year. Joannah Lawson is a registered nutritionist in private practice specializing in nutrition curriculum design and delivery, and improving the nutritional value of foods in school settings. Their funding partially supports the Chair in Patient Engagement in Child Nutrition and the Lawson Family Chair in Microbiome Nutrition Research. As well, Joannah and Brian Lawson's donation facilitates an expendable fund to advance the cause of good nutrition as a public policy priority and help revolutionize the way we understand nutrition and health. It will also help to further incorporate nutrition into the core undergraduate curriculum at the Faculty of Medicine. Our supporters are making it possible to prevent and reverse the decades-long decline in the health of children through nutrition research, education and knowledge translation. Since 2014, early investments from individuals, foundations and corporate donors have helped the Lawson Centre to grow. We continue to welcome all levels of philanthropic giving from a diverse group of donors with a desire to stem the growing tide of poor nutrition that is threatening the well-being of our children and families.